Oceanic themes are widely considered to be both calming and captivating, and it’s no different when it comes to casino games. 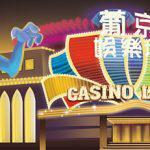 Slots fans love the special blend of de-stressing and exciting experiences that they can only get from playing slots. If you’re looking for some aquatic themed slots for a soothing, enjoyable play session, read on for the best slots options out there. Crystal Waters is an enchanting, serene slots game that will appeal to all marine animal lovers. The symbols include the standard 9, 10, J, Q, K, and A, interspersed with peaceful depictions of boats, conch shells, seahorses, sea turtles, and exotic fish against a pale blue backdrop. The wild Dolphin symbol appears against a shining deep blue, with a soothing animation that’s activated every time the reels hit a winning spin. Wilds appear on reels 2 and 4, standing in for all other symbols except for Yacht scatters. Dolphin wilds double the prizes when they form a winning combination, and all scatter wins are multiplied by the total bet. The Crystal Waters Free Games feature is triggered by three or more Scatters, awarding the player with 15 free games. When the Bonus Fish makes an appearance, it acts as another substitute symbol as well as a prize multiplier. 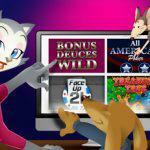 The feature can be retriggered, allowing for a hefty pile of extra free games and impressive prize multipliers. The maximum win for this delightful underwater slot is a massive 50,000 times bet per line. Ghost Ship is a 3-D slots game that’s set in the murky, unfathomable depths of the sea. With a color scheme of pitch black and ghostly green, this aquatic game with surprisingly realistic graphics will appeal to all those intrigued by the mysteries of the ocean floor as well as to 3-D slots fans. Symbols include the standard 9, 10, J, Q, K, and A, a sunken treasure chest, a sculpture of a reclining mermaid, a ghost ship, a cannon, and a Flying Dutchman bell. The Ghost Captain substitutes for all symbols except for Ghost Ships, which serve as scatters. Ghost Ship wins are multiplied by total bet. With the appearance of either the Captain or Ship, a Ghost Captain wild may fill the entire reel that it appears on. The eerie Ghost Captain comes to life on a winning spin, popping out and firing a pistol straight out of the screen. The Free Games feature is triggered by 3 or more scattered Ghost Ships, awarding 2 free games per Ghost Captain or Ghost Ship onscreen. During this feature, the appearance of a Captain or Ship will always lead to a whole reel of Ghost Captains. With a 4-scatter trigger, prizes are doubled, and a 5-scatter trigger leads to a 10x multiplier. Any retrigger adds extra games to the current feature, which inevitably leads to a streak of free games and increased winnings. Loch Ness Loot is the perfect option when you’re in good spirits – or when you need something to lift your mood. With bold, cheerfully comical icons against a peaceful blue, this playful slots game is sure to brighten your day. The game’s water-themed symbols include a rowboat, a misty Polaroid photo of the Loch Ness Monster, and a sack of gold coins lying at the bottom of the lake. The substitute and scatter symbol rules are simple. Lochie substitutes for all other symbols on the reels, and that includes the scattered Treasure symbols. 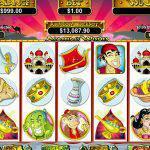 When a Treasure symbol appears on a winning spin, the win is multiplied by the total bet. The most intriguing aspect of Loch Ness Loot is the extra features. The standard Free Games feature is triggered by 3 or more scattered Treasures, appearing from Left to Right. The player is awarded 8 free games with doubled prizes. If Lochie appears during these free games, it then expands to cover the entire reel before payouts occur. The game also includes an additional feature that gets activated when all 25 paylines are being played. This is called the Win-Win bonus feature, which can be triggered at the end of the Free Games feature if the overall free games win is 8 times the triggering bet or less. 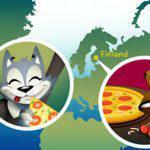 The conditions vary, awarding anywhere between 5 times to 150 times in bonus prizes. If you’ve gotten no wins during the Free Games feature, you automatically receive a bonus prize of 150 times the bet. Make sure that you play with all paylines activated for a chance to increase your winnings with this special feature. Megaquarium is a new 3-D video slots game that’s ideal for nostalgic Finding Nemo fans or simply for players who appreciate vibrant animations and unique bonus features. With its lively neon colors and schools of tiny fish swimming by in the background, the visuals of this underwater slots game are particularly vivid and dynamic, fully drawing you in and immersing you in this beautiful aquatic world. This game leaves out the traditional letter and number symbols, instead almost exclusively opting to use sea creatures. It includes coral, anemone, hermit crabs, clown fish, the Moorish idol fish, and more. Like many other aquatic slots, Megaquarium also has an underwater treasure symbol, gleaming inside of an open wooden chest. 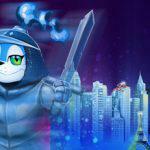 One element of Megaquarium that makes it stand out among slots games is its lack of scatters. Instead, the bonus features are based on a tiered system with a Free Games feature, Bonus Game feature extension, Super Game feature extension, and Mega Game feature extension. It even includes an Extra Game symbol, which enhances the Mega Game feature even more. The bonus symbols for these features appear on set reels, and they often create a waterfall effect that leads to wave after wave of extended bonuses – that means a seemingly never-ending supply of free games, increased wild Clown Fish appearances, prize multipliers, and randomly awarded prizes of anywhere from 2 to 500 times your bet. Needless to say, trying out Megaquarium is an engaging experience in all aspects of gameplay. The Mermaid Queen’s allure becomes apparent right away. With a glittering background of the night sky and the calm seas, this refined game will soothe you like calm waves on the shore. Strings of pearls adorn each letter and number symbol, and other symbols include a fish hiding among coral, a merman, a ship, a string of pearls, a clam that opens to reveal a shimmering pearl, and, last but not least, an elegant red-haired, blue-eyed mermaid. The wild Mermaid makes her appearance on reels 1, 3, 5, standing in for all symbols except for scattered Clams. Winning scatter spins are multiplied by the total bet, ensuring that max bets are more than worthwhile. The Mermaid Queen Free Games feature is triggered when Mermaids appear on reels 1, 3, and 5. Once the feature has been triggered, scattered Clams award additional free games. Prizes are doubled during the first 10 free games and tripled for any free games that follow. These games are played at the lines and bet of the triggering game, so you should definitely activate all 20 paylines and place maximum bets for the best odds. Try out the Mermaid Queen for a cascade of free games and prize multipliers, plus a shot at the maximum win of 50,000 times bet per line. 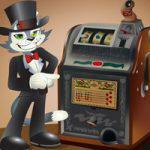 A steady stream of fun is guaranteed in Ocean Oddities, one of the sillier aquatic slot machine games on this list. With symbols like a kingfish complete with his crown and scepter, a sneaky sea urchin, a “No Trespassing” hermit crab, racing seahorse, and more, Ocean Oddities is a lighthearted game with goofy graphics that are sure to make you laugh out loud. Rex, the substitute symbol, is a comical dog-like shark with a collar and its tongue sticking out. He appears on reels 2 through 5, substituting for all symbols – luckily, this includes the scattered Pearls, which means that they often lead to winning spins. The scatter symbol is a Pearl enclosed within an oyster, which multiplies wins by the total bet. The Free Games feature leads to 10 free games with 3 or more scattered Pearls appearing from left to right – it can also be retriggered, which piles on more and more free games. While the feature is running, Rex doubles the prize when serving as a wild. As one of the simpler aquatic slot games out there, Ocean Oddities is perfect for newer players or just those who like to stick to the basics. Pirate Isle opens with a fun 3-dimensional opening scene with an animated pirate, much like what you’d find in an advanced video game. The rest of the game follows suit, complete with all the familiar pirate ship symbols: the mischievous monkey, the parrot, menacing pirates, cannon, steering wheel, black pirate flag, treasure chest… the list goes on. The Skeleton Key is a grouped Wild – it normally appears on reel 3, counts for all symbols excluding scatters, and doubles the prizes of winning spins. Pirate Isle has two scatter symbols: the Galleon and the Treasure Chest, both of which multiply wins by slot bet. Pirate Isle one of the most involved slots games out there – if you consider yourself a gamer, this slot is essentially a video game in slot form. On a normal spin, 3 or more Treasure Chests trigger the Treasure Chest feature, which can award the player with up to a grand total of 300 free spins, a feature that’s practically unheard of! Treasure Chests lead to more prizes and picks, and a Treasure Map allows you to select a location to reveal a Treasure Chest, a Map, or a Ghost. There’s also the Extra Bet Broadside feature, a prize ladder, and many more added elements to the game that will take you captive and lead you to the ultimate pirate’s booty. The Shark School theme is thoroughly developed, and the game has the visuals to match. Big block letters and symbols are reminiscent of those varsity jackets that you might remember from your days in school, and the five reels are flanked by two sets of school lockers on the left and right of the screen. With its well-designed symbols, Shark School is one of the most detail-oriented slots games when it comes to establishing a complex theme – when you’re playing, it practically feels like you know these individual characters. There’s an orange fish wearing broken thick-rimmed glasses bound together with a piece of tape and peeking apprehensively out of a bed of coral, a sardine with a red backpack strapped to his back, a tough-looking shark with a fishhook nose ring and a menacing sneer on his face, and another shark lurking in front of some lockers with a baseball cap perched on his head. The substitute symbol is the “Teacher,” an octopus wearing a graduation cap and shaking a test tube, and the scatter symbol is a traditional red-brick school building. The Teacher appears grouped on reel 1, standing in for all symbols including scatters. Scatter wins are multiplied by the total bet, but most exciting of all, 3 or more scattered Schools can trigger any 1 of 3 fun pick features: Swim Fishy Swim, Bad Sharky, and Don’t Eat the Teacher – each has its own special perks, including free games, re-spins, bonuses up to 200x the bet, and more. Shark School is one of the rare games that, instead of a jackpot, features an abundance of features, exciting animations, and truly exciting bonus games as well as exciting ways to win. It’s a truly engrossing game that will make the time pass – or swim by at lightning speed. There you have it – our recommended list of the eight best aquatic slots for your enjoyment. Don’t forget to take advantage of the Play for Free option to test out these amazing games for yourself! Macau’s top 5 most terrifyingly haunted places! Laurie Sumner is an avid slots player and online gaming enthusiast. Originally hailing from Wisconsin, Laurie rounded up the wagons and headed west to Arizona where she studied hotel and restaurant management before landing a great job in Las Vegas. Today Laurie spends her time teaching what she learned from nearly two decades in the Las Vegas hotel industry and writing articles on the games she loves.